Applications are now open! What are you waiting for? Watch out this video to know more about students' experiences at the Campus! 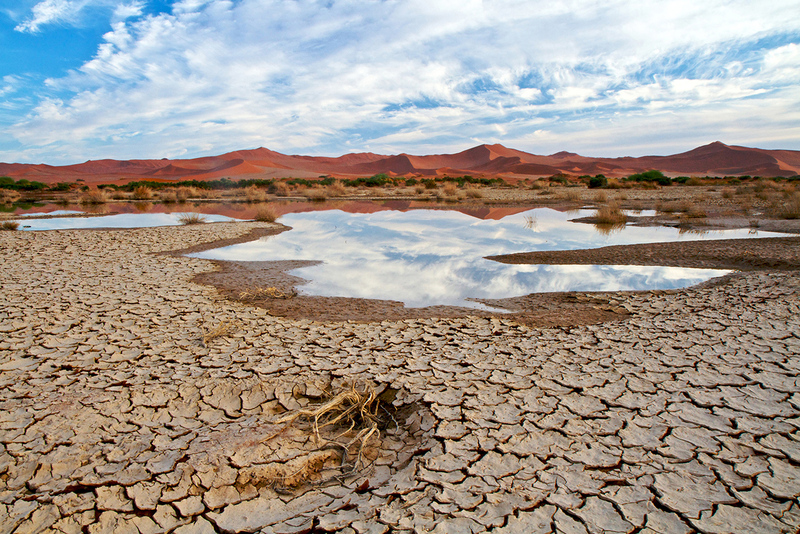 Water is a necessary finite resource and no life is possible without water. 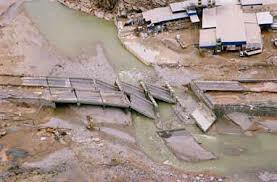 Climate change, poor water management and water pollution are only few of the challenges to be faced. Do you want to contribute to the change? 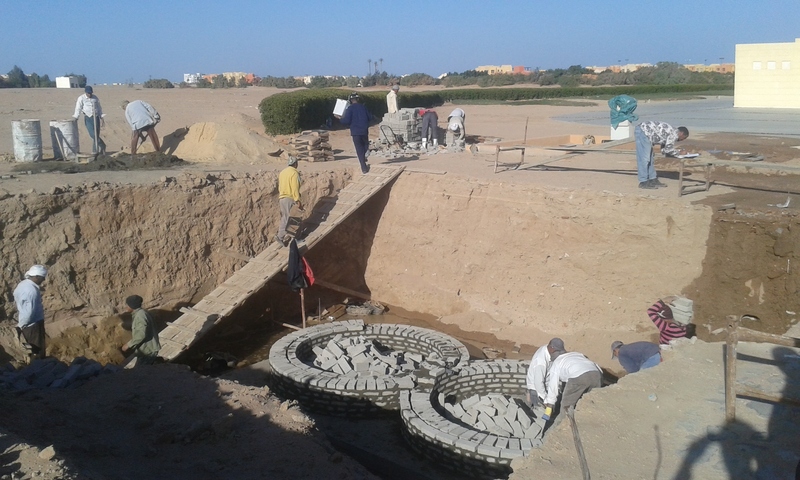 Apply for the Master program in Water Engineering at TU Campus El Gouna! 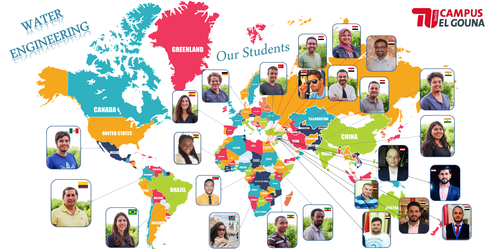 Junior and Senior students of the Water Engineering Department (intakes 2017, 2018), coming from 13 different Countries! The Water Department of TU Berlin Campus El Gouna participated at the Blue Planet Berlin Water Dialogues (http://blueplanetberlin.de/en/) on 9th of April 2019. 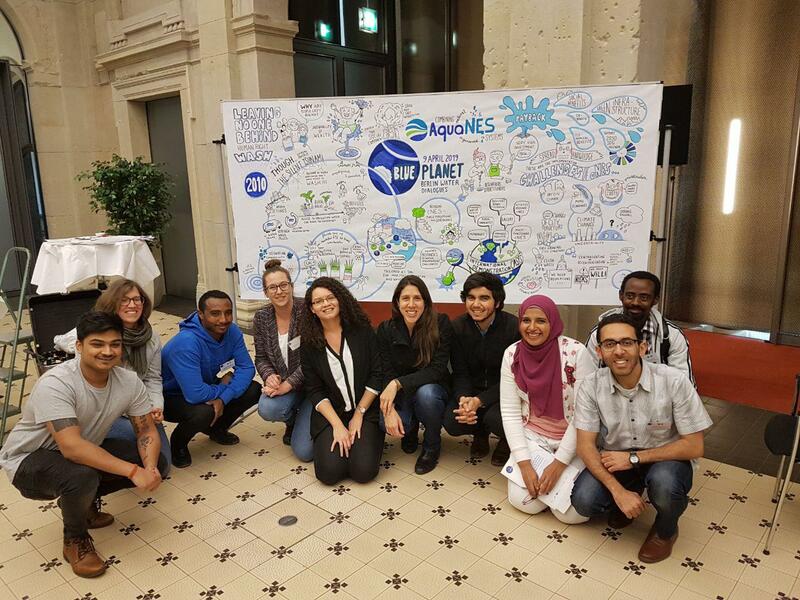 The Kompentenzzentrum Wasser Berlin and German Water Partnership organized the conference. This dialogue brings together research and practice, to increase the cooperation of interdisciplinary teams. 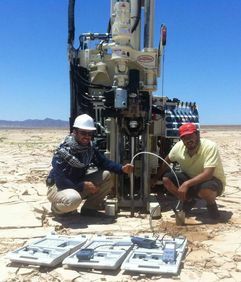 This year the AquaNES project funded by Horizon2020 demonstrates what can be achieved by working together. With renowned keynote speakers from different sectors, the conference offers a great platform to all participants for networking and widening their views. 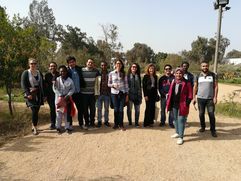 In the context of the Winter Semester Module “Interdisciplinary Project 1”, the junior students visited the Sekem Farm, well-known for actively promoting holistic and sustainable development in Egypt since 1977. 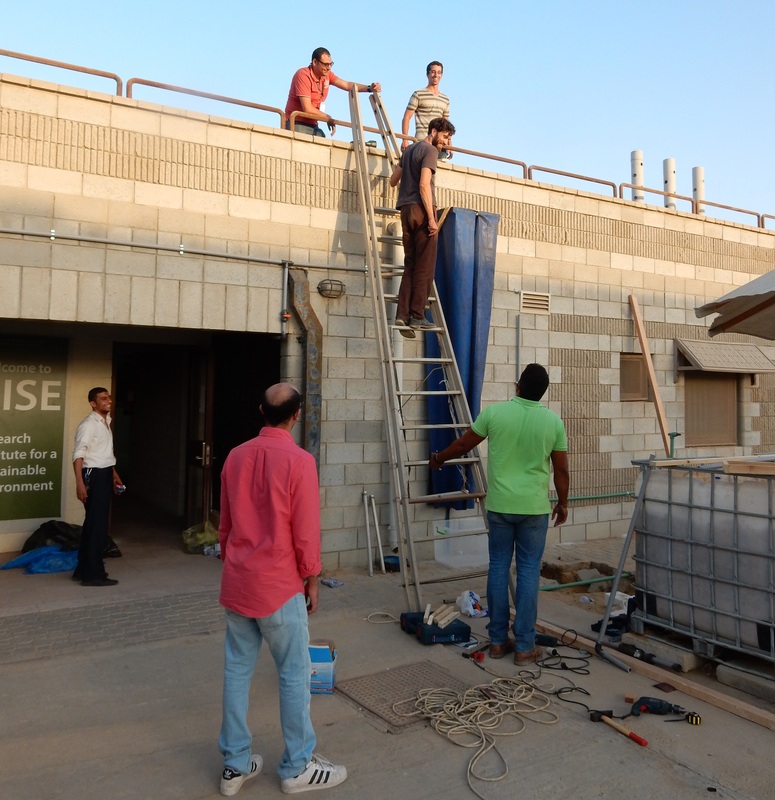 They were on the field with experts and engineers, to analyze and design the current waste water system of the farm. 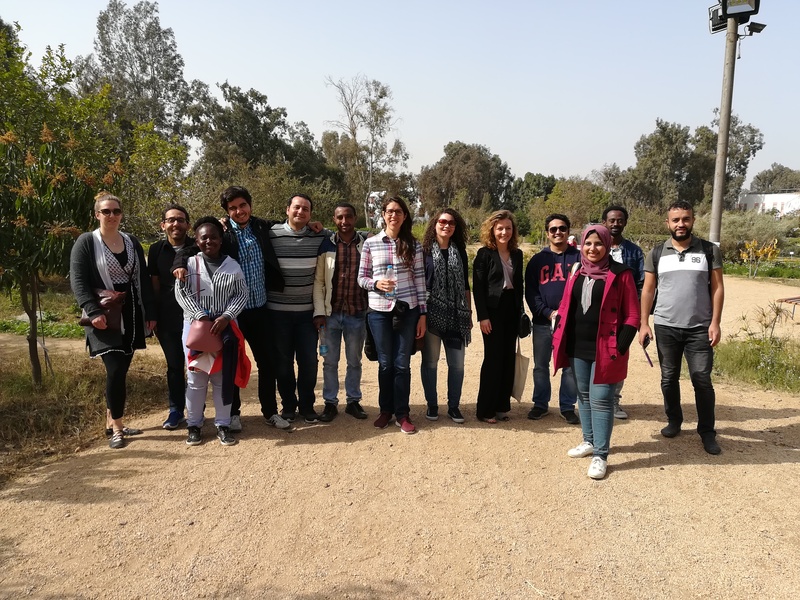 On February 24, they visited the Heliopolis University (HU) and took part at the Opening Ceremony of the training program entitled “Support Sustainable Water Management and Irrigation Modernization for Newly Reclaimed Areas”. 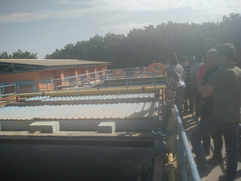 Among the participants there were representative of the Ministry of Irrigation and of FAO (Food and Agriculture Organization of the United Nations), as well as the Dean and teachers of the HU Engineering Department. 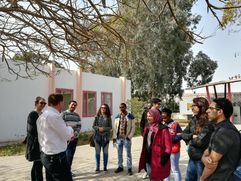 During the successful German-Egyptian Water Days a group of participants visited the Campus of TU Berlin in El Gouna, Egypt. 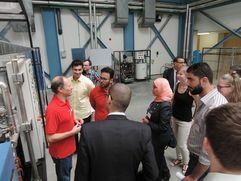 Under the label of “Water Science meets Industries”, the participants had the chance to explore the Campus and its advanced facilities and, meanwhile, the students had the opportunity to get in touch with the visiting companies, such as Wilo, Kleine Solutions and Delta Umwelttechnik. We are looking forward to organizing this successful event further on! 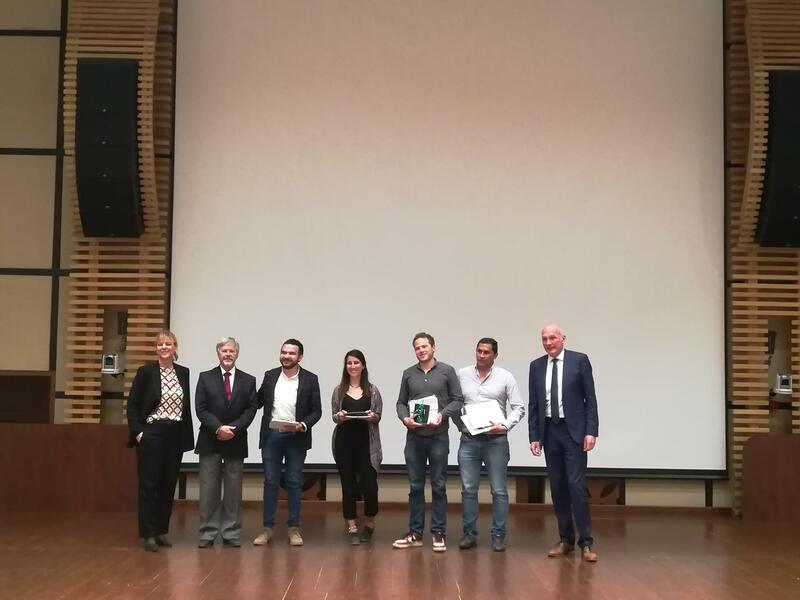 We are very thankful to the Wilo-Foundation for their generosity in supporting our Master students and we hope to continue this successful collaboration in the future. 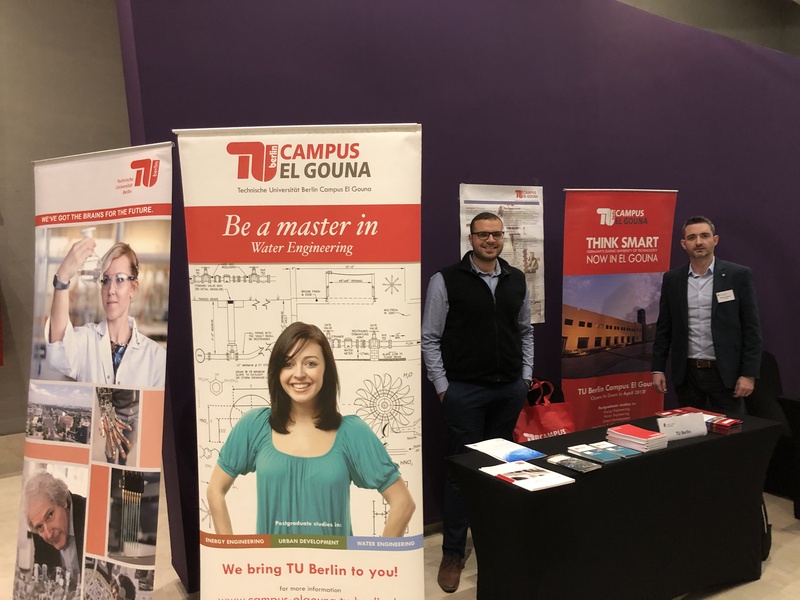 The Water Department of TU Berlin Campus El Gouna participated at the 1st Egyptian-German GWP Day on February 5, 2019 at Steigenberger Hotel El Tahrir Square in Cairo, Egypt. 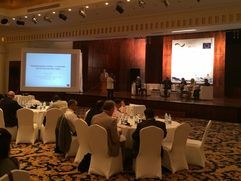 The event was very successful, with participation of decision makers and main players in the water sector in Egypt, incl. 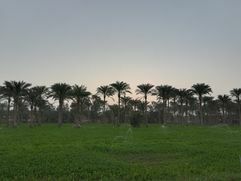 the Egyptian Ministry of Housing Utilities and Urban Development, the Egyptian Holding Company for Water and Wastewater, the Arab Countries Water Utilities Association, Egyptian and German companies, etc. 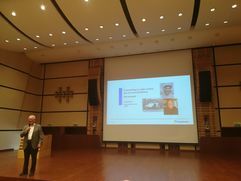 The German Ambassador to Egypt Mr. Julius Georg Luy gave a welcome speech, were he mentioned the TUB Campus in El Gouna as a very important and unique German science and research hub in Egypt. The 1st Egyptian-German GWP Day (program) is organized by the German Water Partnership (GWP) in collaboration with the German-Arab Chamber of Industry and Commerce. The intention is to bring together Egyptian and German water experts to discuss water-related challenges. The participating companies present their products and services during the talks and the panel discussion. These are also included in a booklet offered by the event and distributed to all participants. 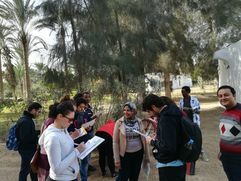 On the 22nd of November 2018 the junior students of the Water Engineering Department have been on a small guided excursion in El Gouna during their first semester. 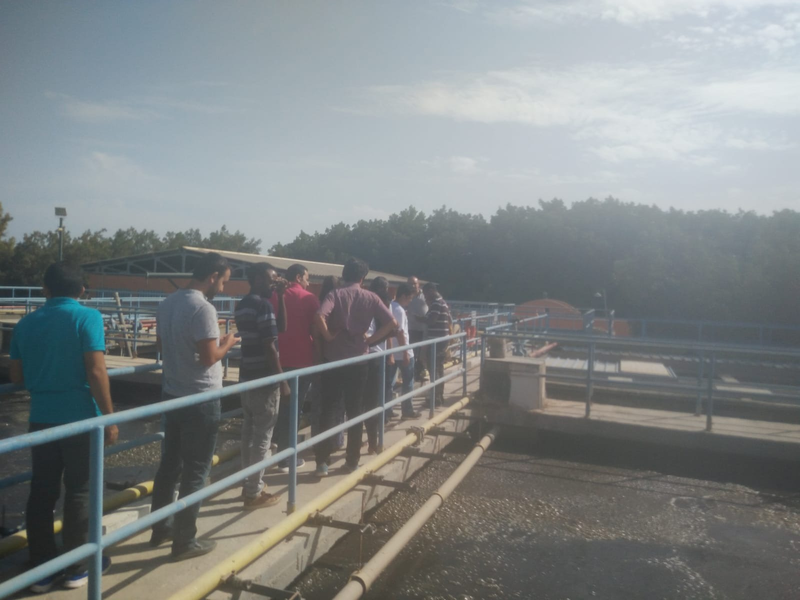 Right after following the course in Water Supply and Sanitation, they visited the local Waste Water Treatment Plant (WWTP) in El Gouna, in order to better understand and see in practice what they had just learned during the lectures. 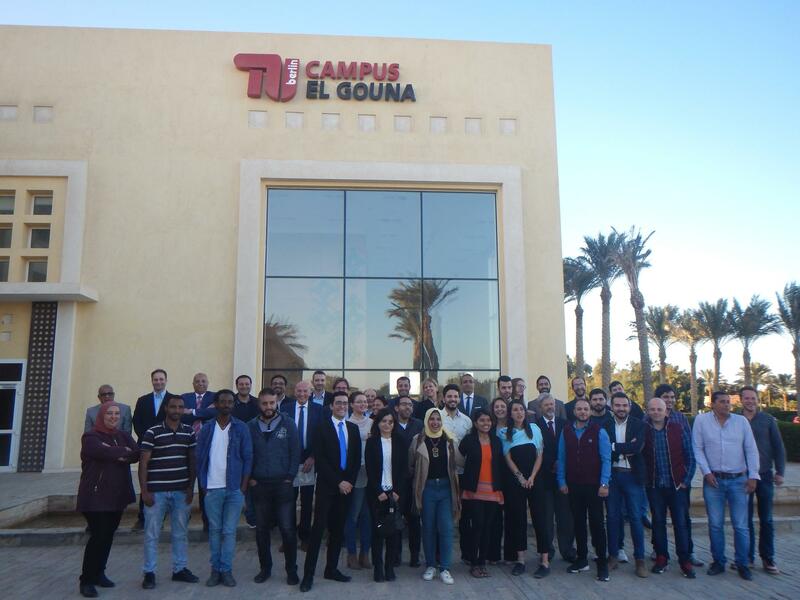 Students and Staff of the Water Engineering Department of the Campus El Gouna attended the “Third International Conference on Solar Energy Solutions for Electricity and Water Supply in Rural Areas” on the 7-10 November 2018 at the American University Cairo (AUC). 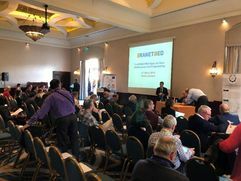 The so-called Solar Conference focuses on promising approaches and applications for both renewable energy and safe water supply in rural areas. Not only does this event offer the chance of networking in this specific field but also gives the opportunity to present recent research results of the students as well as of the staff. 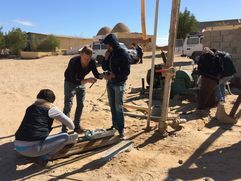 The third day of the conference included a day with hands-on workshops to see and learn more about the possibilities for improving the living conditions of populations without any centralized power neither proper water supply systems. The WE Department participated in the ERANETMED conference with the title “The ERANETMED legacy for Euro-Mediterranean Joint Programming”. ERANETMED (ERA.NET with the Mediterranean Partner Countries) is a European Union (EU) project aimed at promoting a unified European approach to collaborating with the Mediterranean in the field of science and technology research for innovation and sustainable development. 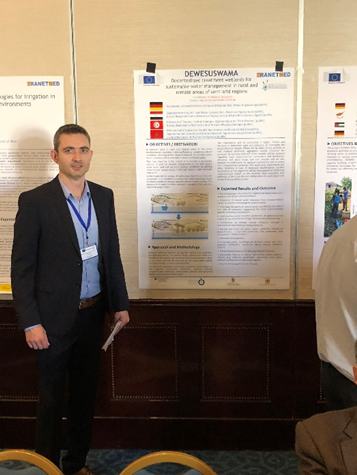 The first EU funded research project of the WE Department with the title Decentralized treatment wetlands for sustainable water management in rural and remote areas of semi-arid regions (DEWESUSWAMA) was presented at the ERANETMED conference by the coordinator of the project, Dr. Nikolaos Tzoupanos. 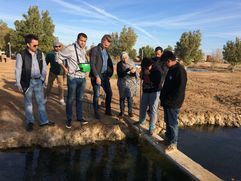 8 institutions from 4 countries will work together to investigate the potential of natural systems with domestic vegetation for the treatment and reuse of wastewater. The funding for TUBCEG will be provided by the German Federal Ministry of Education and Research (BMBF) and the project will start on the 1st of January 2019. More information here. From 25th - 27th of October 2016 the 2nd International Symposium on Flash Floods in Wadi Systems (2nd ISFF) was held at TU Berlin Campus El Gouna. More than 50 people from eight countries participated in the symposium. 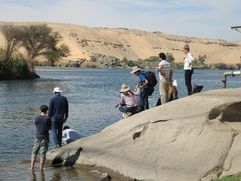 This event was the second in a new series of annual International Symposia on Flash Floods in Wadi Systems. 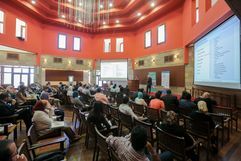 Furthermore, this symposium was supported by the Water Resources Research Center (WRRC) and the Global Alliance of Disaster Research Institutes (GARDI) of the Disaster Prevention Research Institute (DPRI), Kyoto University, Japan and German Science Center Cairo (DWZ). The First ISFF was held in October 2015 in Kyoto, Japan (see ecohyd.dpri.kyoto-u.ac.jp/en/index/1.html). 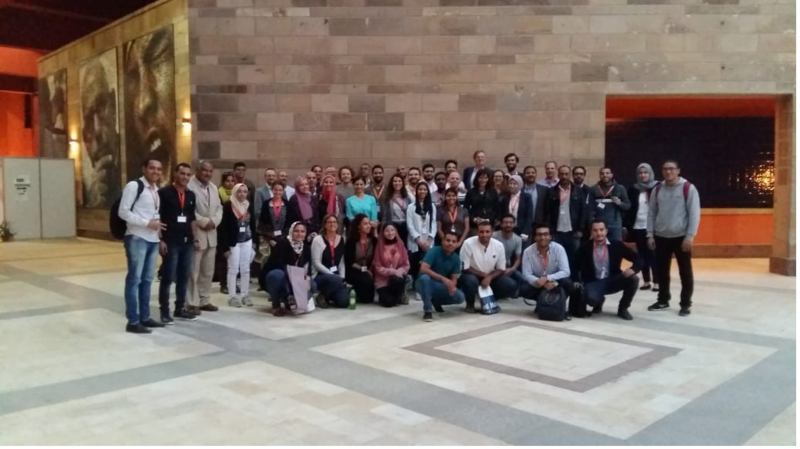 The Second International Symposium on Flash Floods in Wadi Systems was complemented by a Training Workshop on Numerical Modelling of Extreme Flash Floods in Arid Region funded by the UNESCO Office Cairo, which took place on 24th of October 2016. 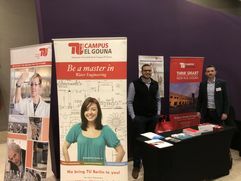 The symposium opening session on 25th of October included welcoming words of the TU Berlin Campus El Gouna and the UNESCO office in Cairo as well as messages of the Embassy of Japan to Egypt and of the German Science Center Cairo. Professor Sumi from Kyoto University summarized the objectives of the symposium and the roadmap for the ongoing work regarding Flash Floods in Wadi Systems. 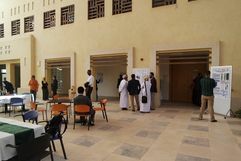 During the first two days of the symposium 24 experts and researchers presented their work in seven sessions, such as forecasting, modelling, mitigation and adaption measures, case studies in the Arab region, radar and satellite data, social aspects as well as water harvesting methods. Five presentations showed the outcomes of the Urgent Capacity Development for Managing Natural Disaster Risks of Flash Floods in Egypt, Jordan, Sudan and Yemen during a special UNESCO-session. 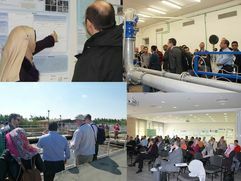 17 researchers presented their work on flash flood modelling, hydrological modelling, remote sensing techniques, groundwater recharge and other topics during two poster sessions. 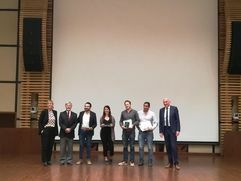 Two posters were chosen as best contributions: one from the Zagazig University in collaboration with the NARSS, Egypt (best poster presentation) and one contribution from the the Kyoto University Japan (second best poster presentation). Furthermore, Christian Melchert presented the German Science Center and the Egyptian German Water Cluster and offered the possibility to join for all interested participants. 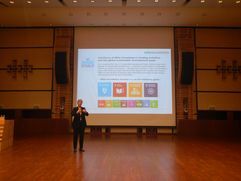 On the last symposium day the outcomes, research challenges and future research collaborations were summarized and discussed. 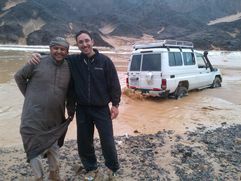 An excursion to the flash flood mitigation dams in Safaga was planned for the afternoon, but heavy rain storms caused flash floods and the roads have been closed, so that the excursion to Safaga must be cancelled. This recent event emphasized again the importance of progress in flash flood management and thus the motivation for this symposium. 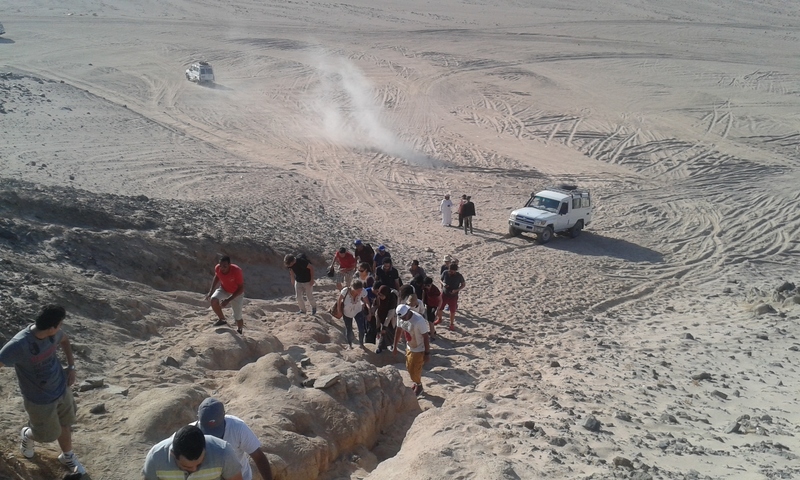 As an alternative to the excursion, a small group went to the field to get some impressions of this recent flood and to take measurements of water level and discharge of the flood coming from Wadi Bili. 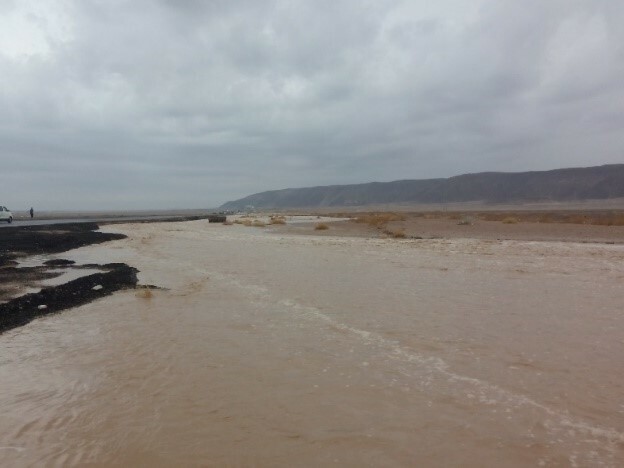 In 2017, the Third International Symposium on Flash Floods in Wadi Systems will take place in Oman. We are looking forward to future collaborations and the outcomes until the next symposium. 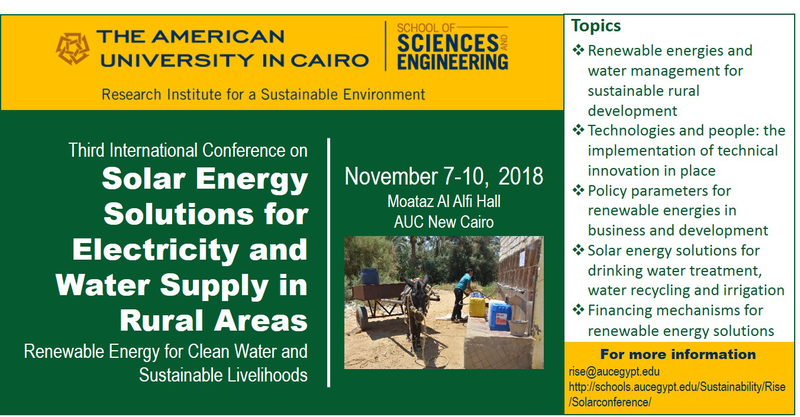 Together with the American University in Cairo and other partners the Campus El Gouna Water Engineering Department organized this event from 12th till 15th of October 2016. 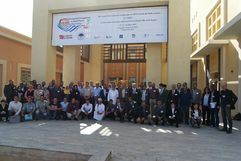 Following a successful First International Conference of this series, held at AUC in October 2015, the conference aimed to showcase and discuss promising approaches and applications for different types of renewable energy as sustainable solutions for rural populations with no access to centralized power and water supply. The focus was on solar electricity and its economic applications for village electrification and the supply of safe drinking water. 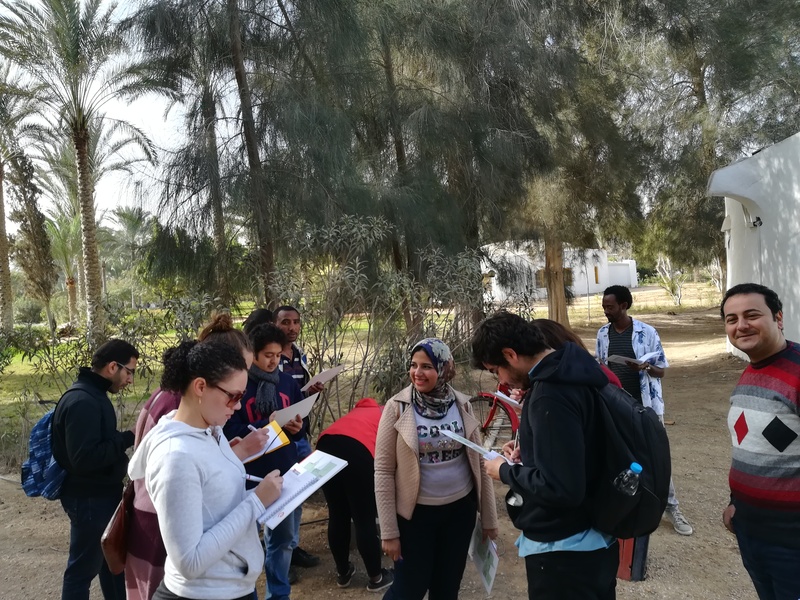 Students and staff from Campus El Gouna presented about Wastewater Concepts for Elephantine Island in Assuan, Green Wall Treatment – Solar Driven Urban Agriculture and Biofilm-Hybrid-Processes for Capacity increase of Wastewater Treatment in North African Climate. After two days of theoretical input the third day was dedicated to practical implementation. 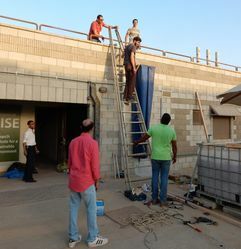 One of the workshops was organized by Carsten Riechelmann giving the participants the opportunity to build a complete grey water treatment system at the wall of the AUC- Research Institute for sustainable Environment RISE. During the fourth and last day an excursion was organized to show the participating group the concentrating solar power plant of Koraymat. 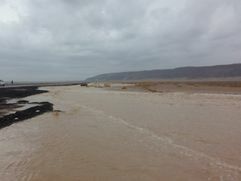 In recent years, flash floods in Wadi systems have caused severe damages, especially in the Arab regions. Human life, infrastructure such as roads and buildings as well as the environment are endangered and have been heavily destroyed. 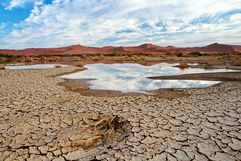 Flash floods are caused by extreme weather conditions, their occurrence is highly random and the associated problems are expected to increase in the near future due to climate change. On the one hand, there is an urgent need for flash flood protection and risk reduction, on the other hand, this rainwater can also be considered as a new resource for water harvesting. Finding solutions to these challenging problems requires close collaboration between scientists – established as well as young ones, - practitioners, and stakeholders from federal and public organizations. So we encourage you to contribute to the development of future solutions and to widen your own expertise and profile by attending the international symposium. This event is the second in a new series of annual International Symposia on Flash Floods in Wadi Systems. Furthermore this symposium is supported by the Water Resources Research Center (WRRC) and the Global Alliance of Disaster Research Institutes (GARDI) of the Disaster Prevention Research Institute (DPRI), Kyoto University, Japan. 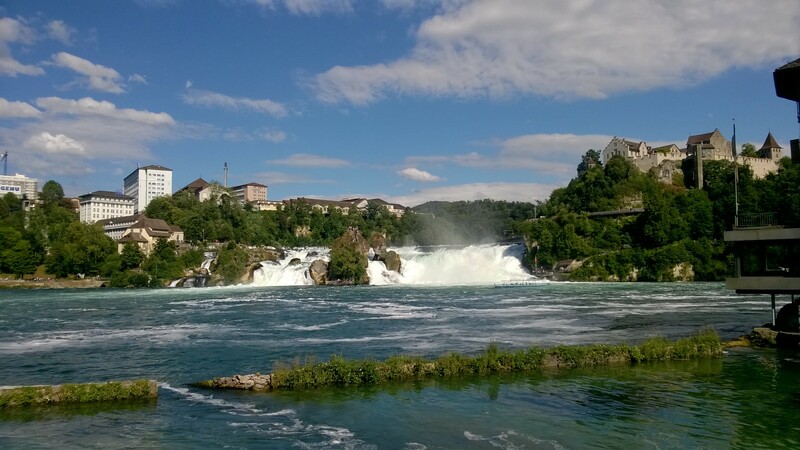 The First International Symposium on Flash Floods in Wadi Systems held in October 2015 in Kyoto, Japan, was attended by about one hundred scientists, practitioners and stake holders from 11 countries. Students are invited to submit abstracts for oral presentation or poster. The first ten accepted students have not to pay any fee and get a support of 1000 LE. 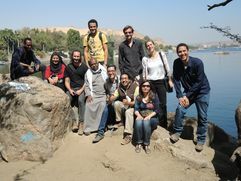 This year the first semester students project took place on Elephantine Island in vicinity to Aswan city. 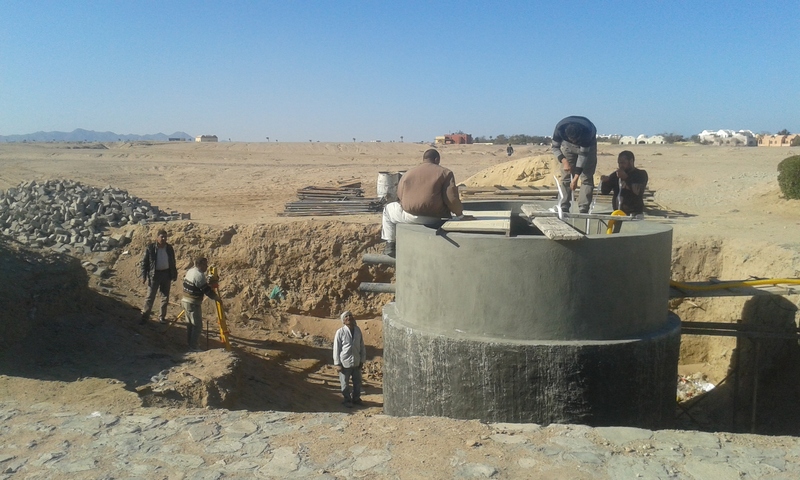 Scope of the project is to improve the water situation of a small village. Therefore, the students deal with participatory approaches and get information from the inhabitants to see what is most needed. 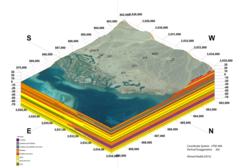 Additionally, the site analysis takes place including sampling of water and evaluation of existing constructions. Adapted techniques should be implemented as well as a comparison to conventional water supply and treatment methods. Campus El Gouna is proud to announce the graduation of the first PhD student with a pioneer research El Gouna area, fully prepared at the campus in Egypt. 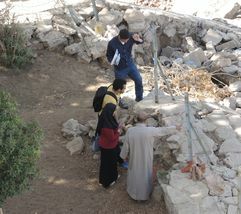 The geologist Ahmed Hadidi (MS.c.) 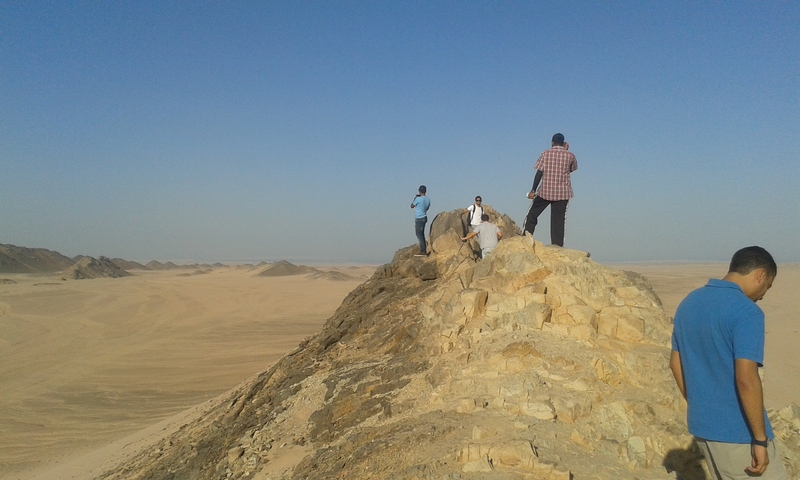 started his research on the geology and hydrogeology of El Gouna by the first semester after the campus opening (WS 2012) with the supervision of Prof. Dr. Uwe Tröger. 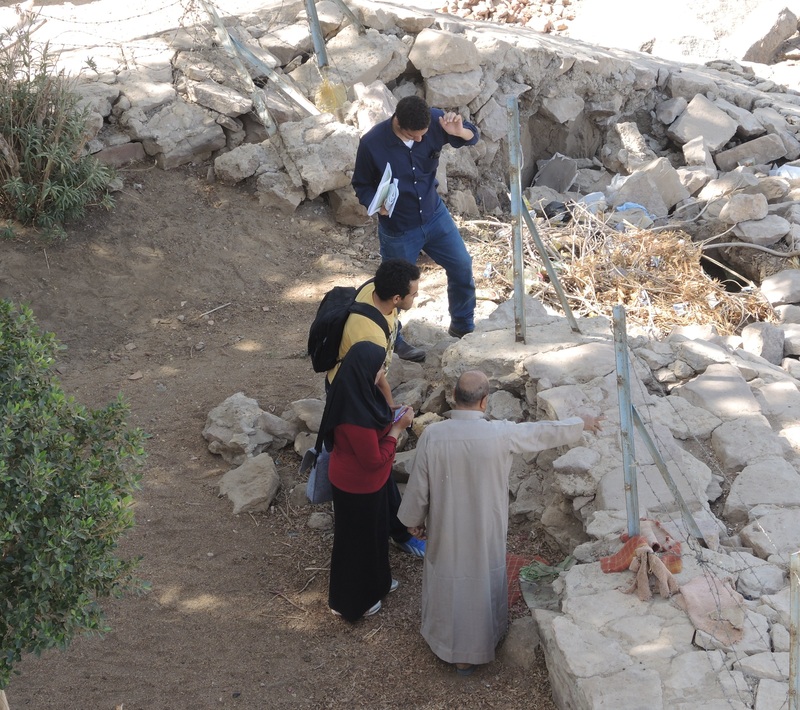 Mr. Hadidi succeeded to measure for the first time the real value of the flow of the flash flood of wadi Bili on March 2014 with our graduated master student Ahmed Askar. 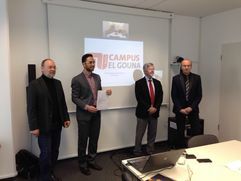 Funded by the Climate KIC Program the following project is a collaboration of TU Berlin Campus El Gouna and Ecoglobe GmbH. 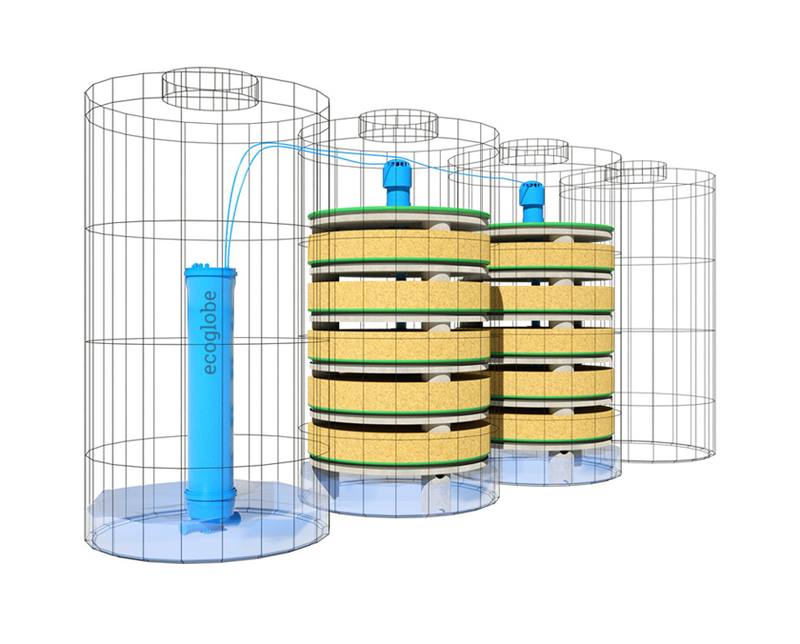 It comprises the construction of the decentralized wastewater system “Waterbase”. 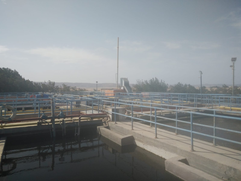 Furthermore checking the functioning of the whole plant and examining the efficiency by changing the dimensions of the filter and varying the wastewater load. 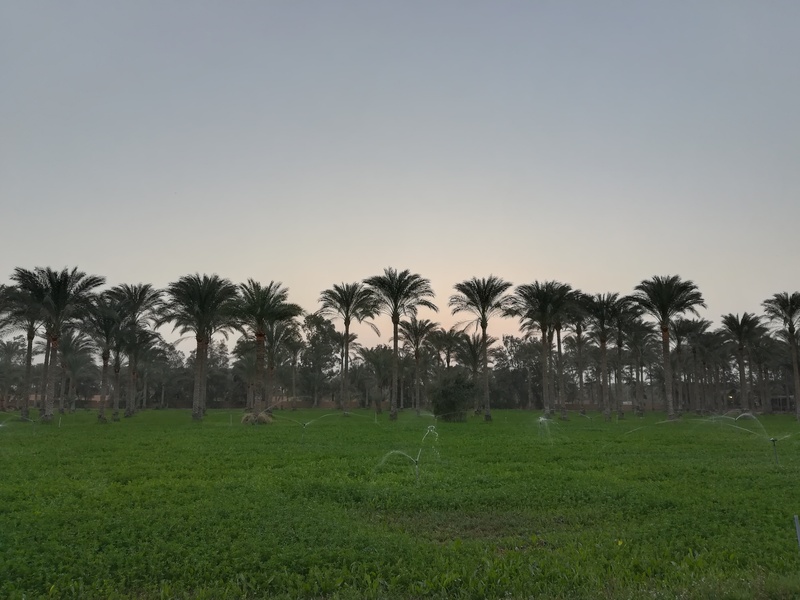 Mövenpick Resort El Quseer is the first hotel in Egypt to launch the fully biological plant TIA COMPACTmini providing German know-how and technology. The opening ceremony took place on March 2nd, 2016. 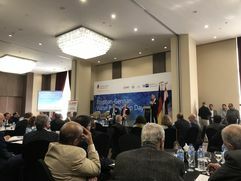 The German Embassy in Egypt, the AHK Cairo, the Technical University Berlin El Gouna, University Rostock, Germany and many other organisations and companies were amongst the speakers and guests. 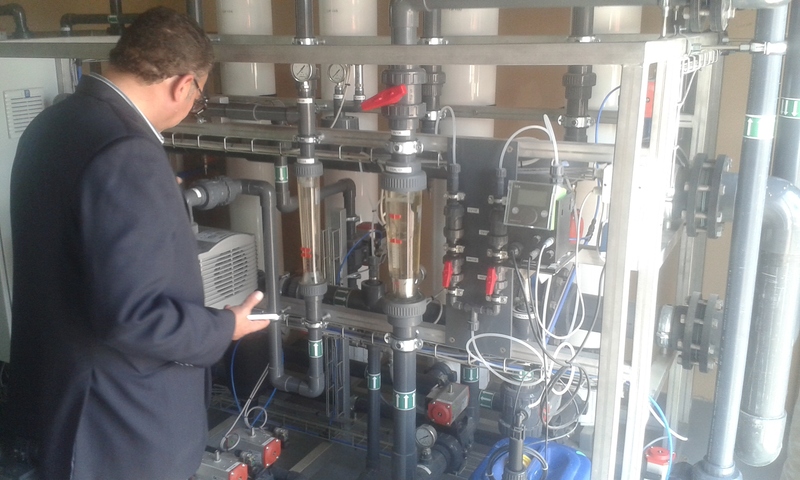 The plant has been developed by TIA GmbH, Germany, particularly for a decentralized solution of wastewater treatment with highest functionality and modern energy-saving machinery. 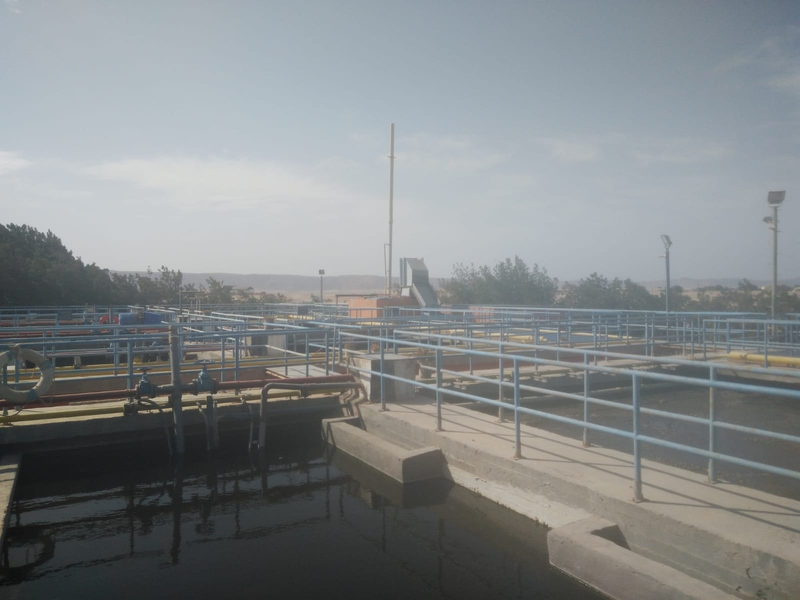 The main processes are: Biological treatment with sludge stabilization (ARS), 2-step sedimentation (parallel plate), Filtration and Chlorination, Ultra-filtration. 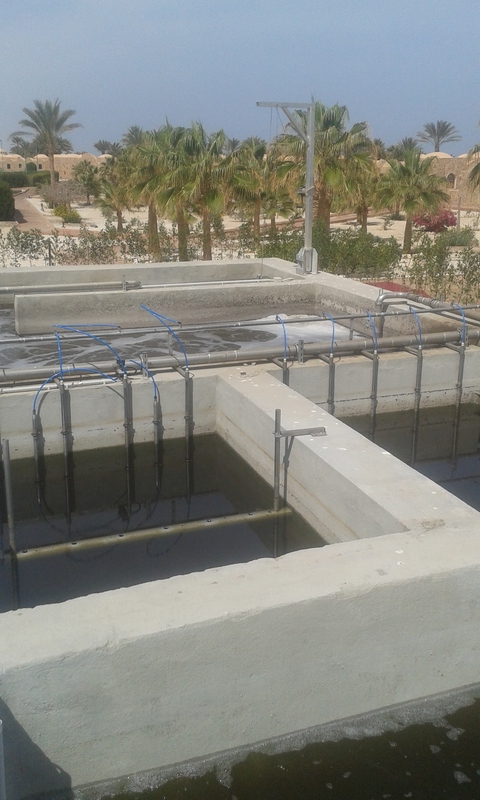 The treated water is produced in three different qualities and can be used for irrigation but also to supply the laundry (potable water). 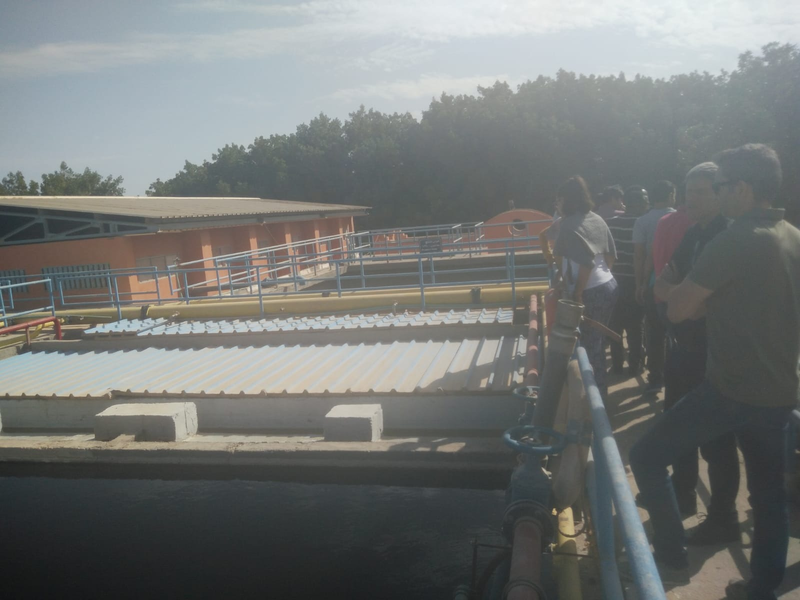 In the following months the partners in this project will study the real costs for operation, maintenance, disposal, control and energy demand for the three qualities of water. The partners target both, transparency and minimization of the costs. The sustainable use of water needs this transparency as it is the main basis for decisions in future applications. The project is supported by the German Federal Ministry of Economic Cooperation and Development. During the first half of the winter semester the theoretically acquired methods have been applied in the field aiming for reliable data for conceptual and numerical models later on. 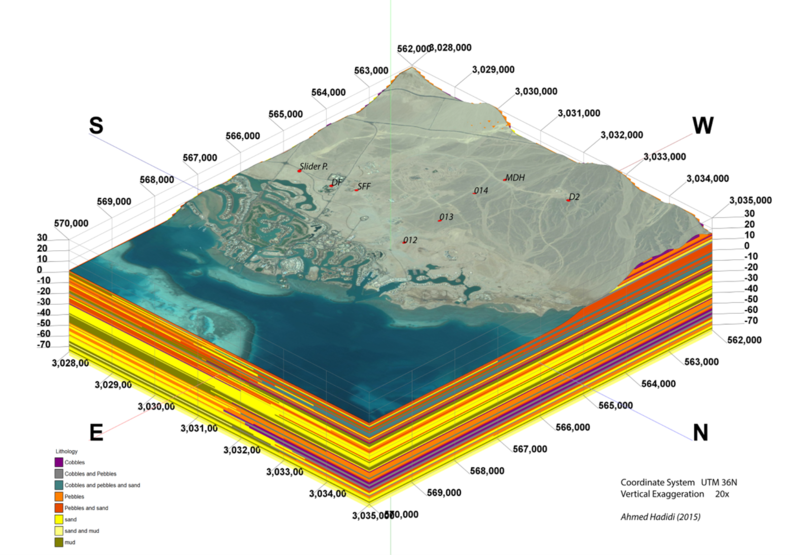 After the preparation of the field work various hydrological parameters have been measured at the Red Sea cost. 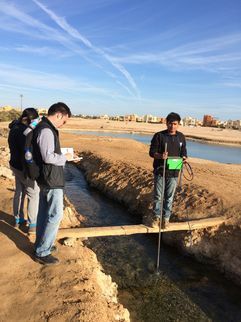 The measurements done by the students together with research associates included runoff and water infiltration tests, open end test and tracer tests. Groundwater samples were taken for chemical analysis to understand the nature of the aquifer, to investigate the role of the fault extending close to the mountain where the wells do exist and the role of the sea water intrusion in this coastal area. 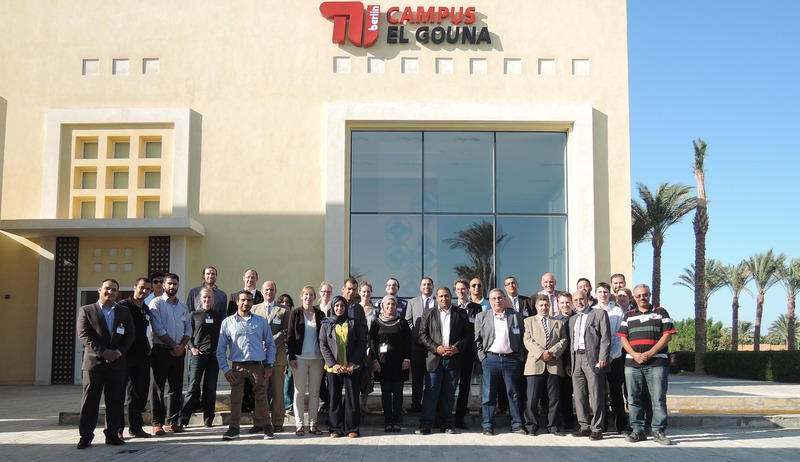 November 21st – 26th 2015 a workshop for energy efficiency in desalination took place at the Technische Universität Berlin Campus El Gouna. 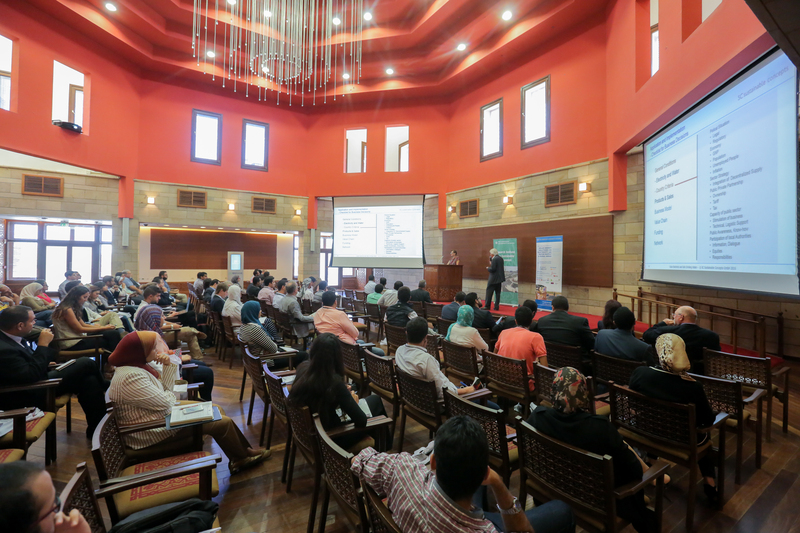 The DAAD funded event presented the state of the art in research and technology by collecting the results and experienced requirements from Egypt, Jordan, Tunisia and Germany. 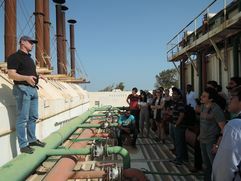 The series of lectures showed that the combination of desalination and renewable energies already works on smaller scales. Still a high research demand remains to develop innovative technologies like membrane- and low temperature-distillation for drinking water production. 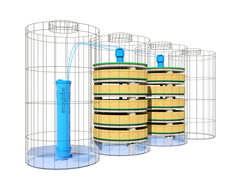 Additionally dynamical desalination methods or energy storage systems are needed to buffer the weather dependent energy fluctuations. 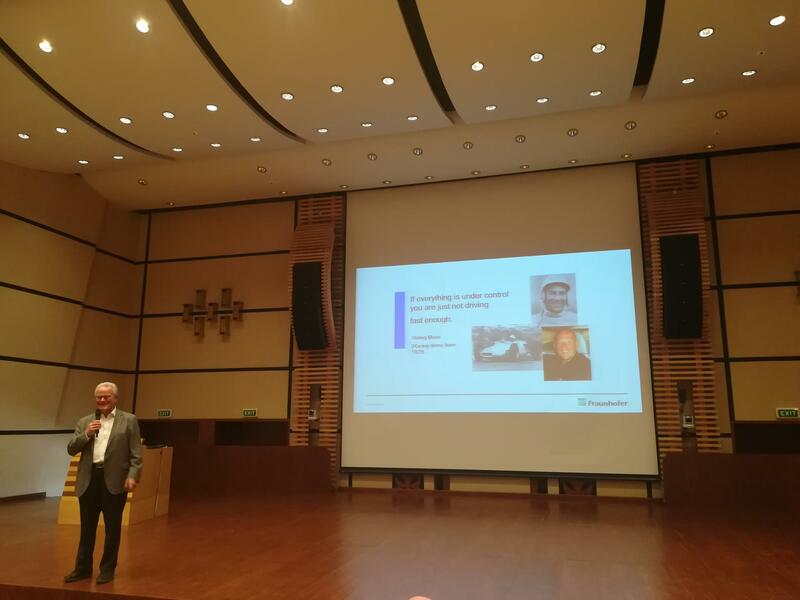 The contributions of the participants about the current state of the technology are the basis for the development of a lecture module for the students to bring them to the top research for energy efficiency in desalination. 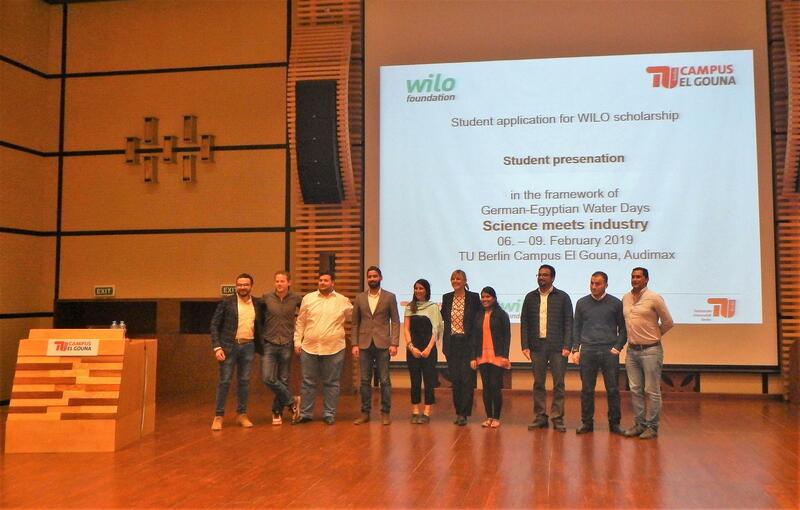 On November 25th 2015 The Campus El Gouna Water Engineering department participated at the first Egyptian-German water cluster to establish a new network between universities and companies in Egypt. 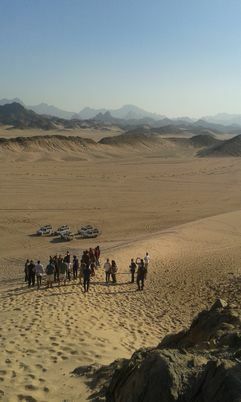 During the first week of the new semester the students went all together on a trip to the desert. Besides meeting the new colleagues for the coming two years the sensation of space and the emptiness of these endless areas have been a fascinating experience. 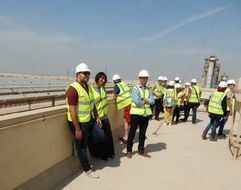 One of the unmatched privileges of the water engineering master program of TU-Berlin Campus El Gouna is the excursion through Germany. 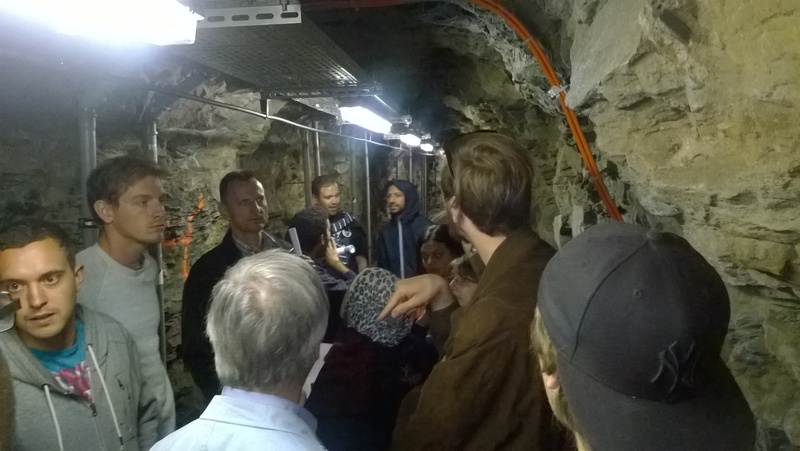 As a part of the curriculum it always takes place for around 3 weeks each year in August under the supervision of Prof. Dr. Uwe Tröger. 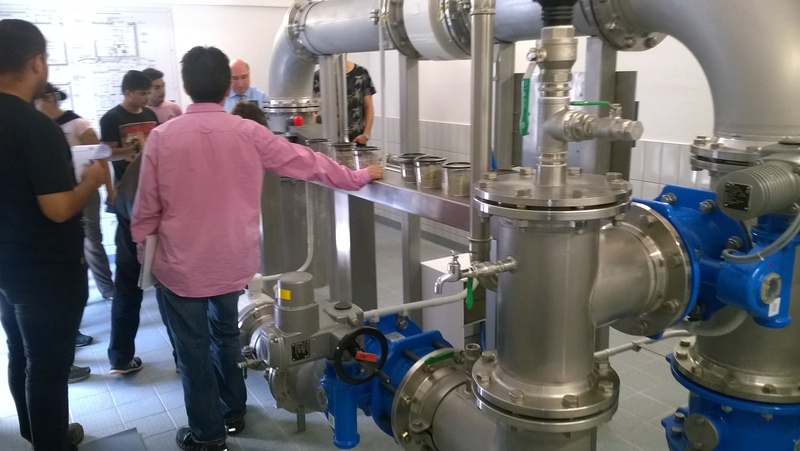 For the first while it seems like it is only a technical journey through water technology related sites all around Germany like (water & wastewater treatment plants, dams, springs, water related museums and leading water technology producers). But besides it offers a complete enriched experience of German and European history, culture and arts through visiting museums, churches and historical sites. February 2015, El Gouna - After the successful implementation of the 2nd winter school last year, organized by the IWATEC consortium and the TU Berlin Campus El Gouna, the 3rd winter school on “Sustainable Use of Resources: Water and Energy” will take place again at the Campus of TU Berlin in El Gouna from 21 February until 1 March 2015. 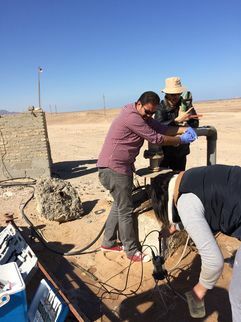 Acknowledged German and Egyptian experts will hold lectures on various water and energy related topics, covering issues from solar driven desalination to drinking water microbiology. A poster competition and several excursions complete the program. For further information on the program, application, and fees please check our partner's website. 1/2 December 2014, Sharm El Sheikh - The Water Engineering Department was represented at the regional conference on Sustainable Integrated Wastewater Treatment and Reuse in the Mediterranean Region. The conference was organized by GIZ (Deutsche Gesellschaft für Internationale Zusammenarbeit) in the frame of the SWIM Sustain Water MED Project, a Regional Technical Assistance Program launched by the European Commission to contribute to the extensive dissemination and effective implementation of sustainable water management policies and practices in the Southern Mediterranean Region. 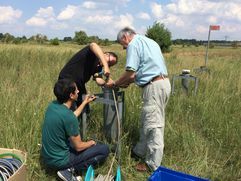 On 9 and 10 July 2014, the students of the second semester of Water Engineering undertook a field trip to the former sewage farms around Berlin, where sewage was used to irrigate and fertilize agricultural land until the end of 1970s. We are lucky to have the United Nations at our Campus. The conference taking place from 6 to 8 March is designated for students of the age 10 to 28. 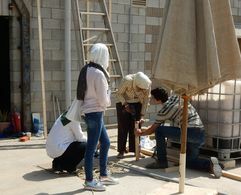 There will be workshops about sustainable energy and sustainable water usage. Winter School "Sustainable Use of Resources: Water and Energy for Egypt"
The IWaTec consortium in cooperation with TU Berlin Campus El Gouna is conducting the second winter school on "Sustainable Use of Resources: Water and Energy for Egypt" from 16 to 20 February. The main objective of the school is to bring together scientists, experts, and students from Germany and Egypt for scientific and knowledge exchange about water and energy technologies that are important for Egypt.